Hello! Sorry I have been MIA for the last week. My oldest son has spring break this week and we took a mini vacation up to my Mom’s house. It was a much needed change of scenery! This is a picture from our trip. 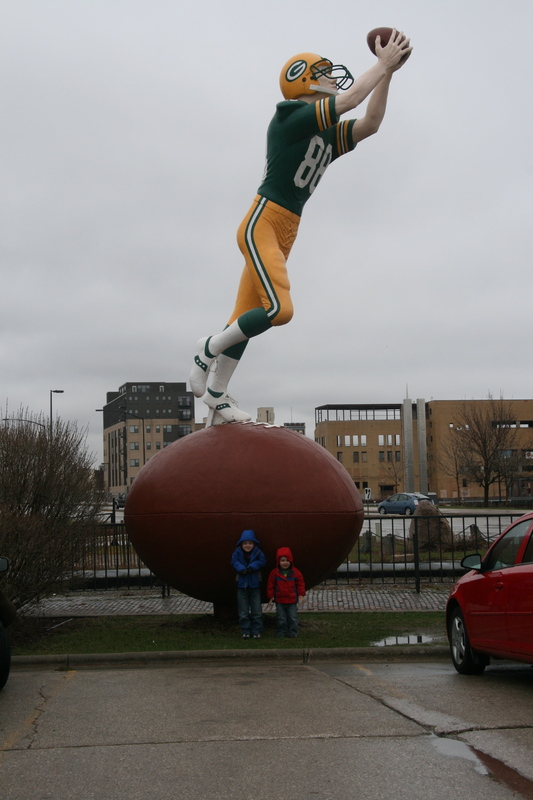 We decided to take the boys to Green Bay on Saturday and we stopped to eat at Titletown. The weather wasn’t very nice but I made the boys pose for a quick picture in front of the Packer anyways. Memories, right?! Here is a quick card for you. You may notice a sneak peek from the new Summer Mini Catalog that you can order from starting May 1st! I am in love with just about everything in this catalog and I know you will be too! If you are on my current customer list you should be receiving your copy in the mail soon. If you don’t get one and want to, just send me a quick e-mail I would be happy to send one to you in the mail for free! 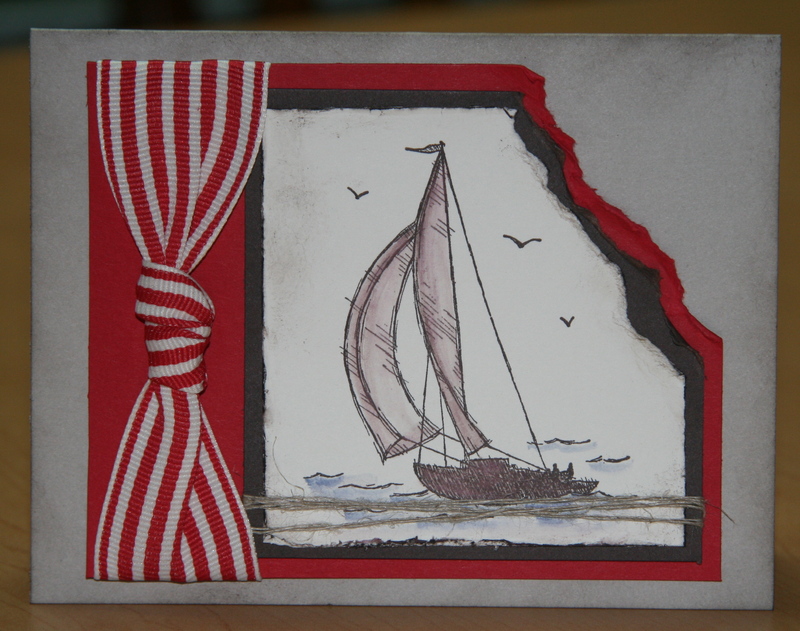 The card uses the new Sail Away stamp set from the Summer Mini. I used the watercolor technique with a blender pen to achieve the washed out look. I always struggle to come up with good “man” cards but I think this one fits the bill!